It is well known that Arnold Schwarzenegger has been approached to play the baddie in Shankar’s magnum opus, Endhiran 2. The latest information is that the Hollywood superstar has asked Shankar to rewrite the script with proper Hollywood screenplay writers and only then, he will be acting in the film. As Arnold is having a great reputation in Hollywood, he wants Endhiran 2 to have the quality on par with international standards. 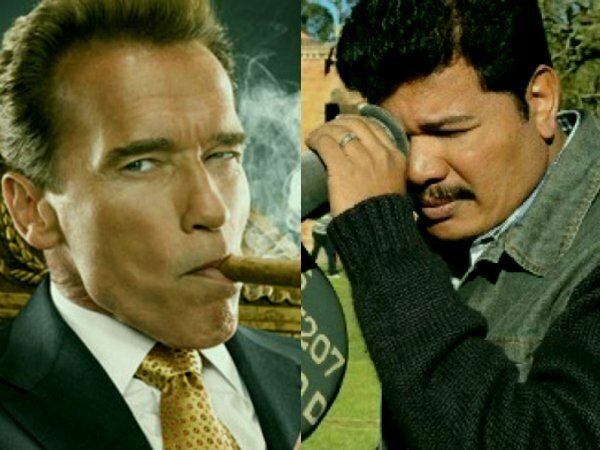 Now, the big question is will Shankar obeys to Arnold’s command or he will be roping in some other actor for the film. Rajinikanth will be seen playing the lead role in the film and Lyca International will be bankrolling the multicrore project.